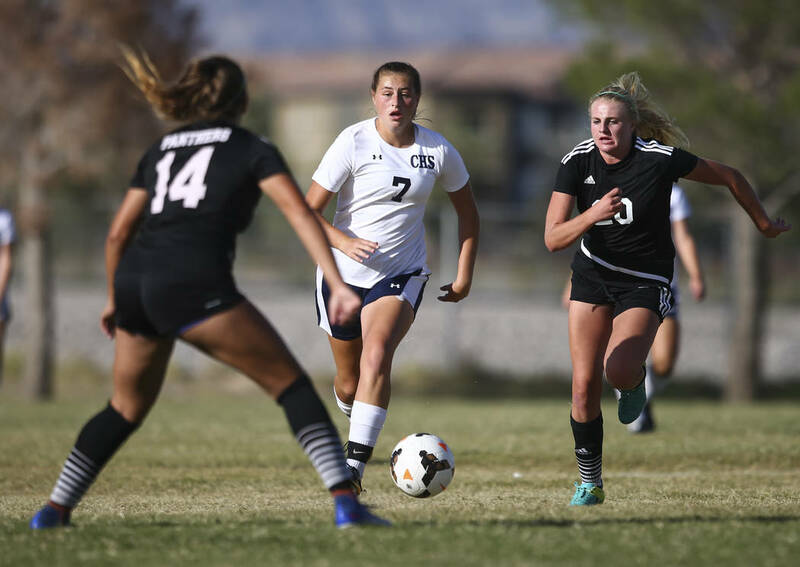 Centennial junior forward Marcella Brooks has suffered from Type 1 diabetes since she was 9 and has turned into one of the state’s top soccer players. 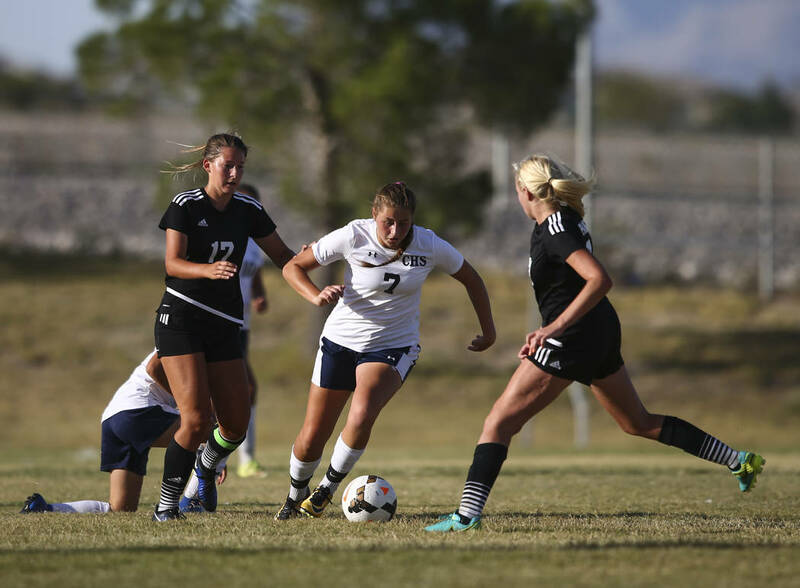 Some chase the goals, assists, hat tricks and notoriety that come from sitting atop the local leaderboard. Others watch the time tick away during an 80-minute, 4,800-second game. 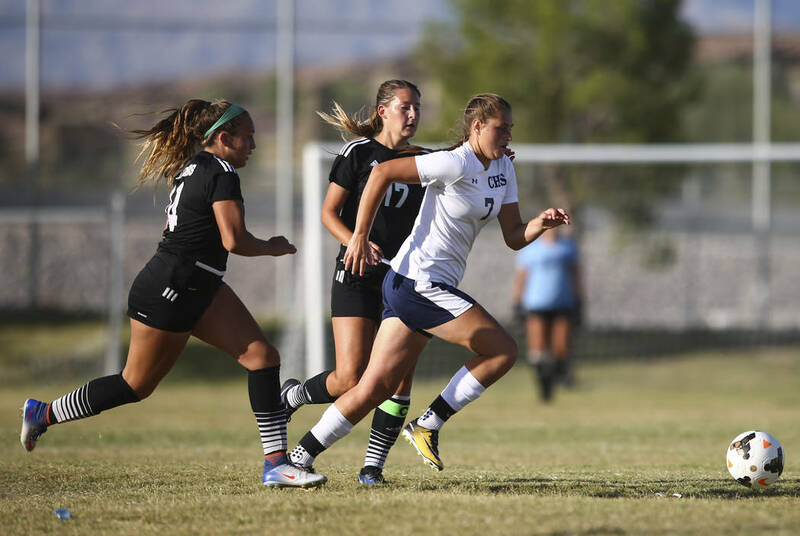 Centennial junior forward Marcella Brooks tracks just one number before, during and after her soccer matches. Brooks, 17, has suffered from Type 1 diabetes since she was 9 and wears an insulin pump for 22 hours a day to manage her blood sugar. 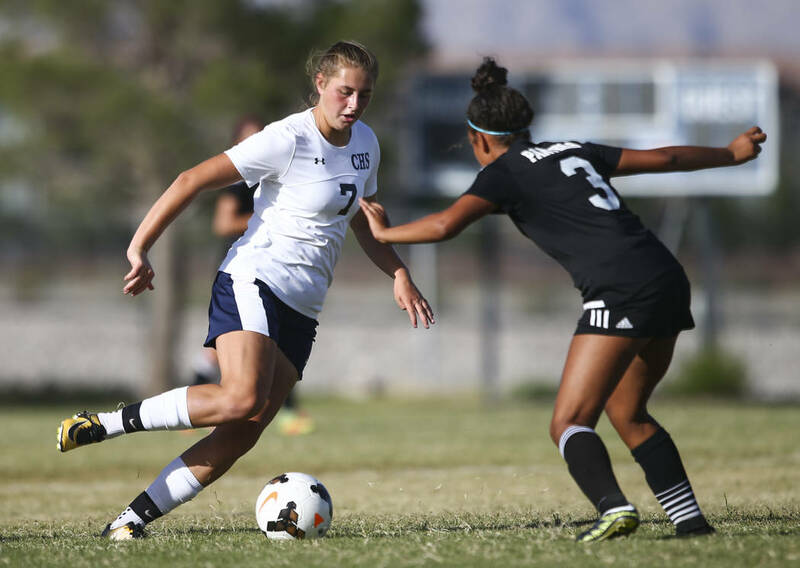 She handles the remaining hours on her own on the soccer field, where she ranks sixth in Southern Nevada with 17 goals and six assists. 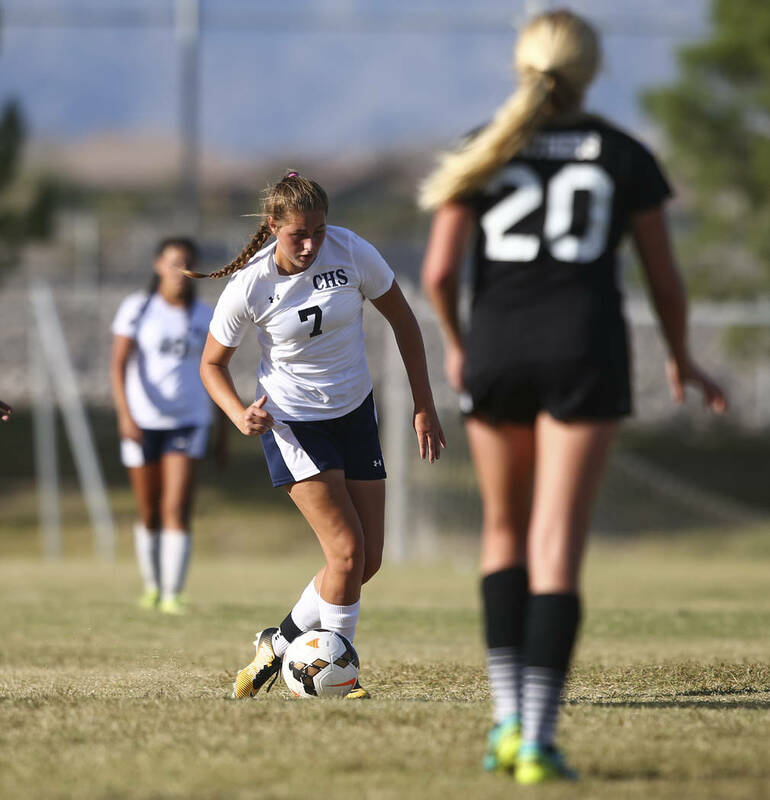 Diabetes can’t — and won’t — stop one of the state’s best players. 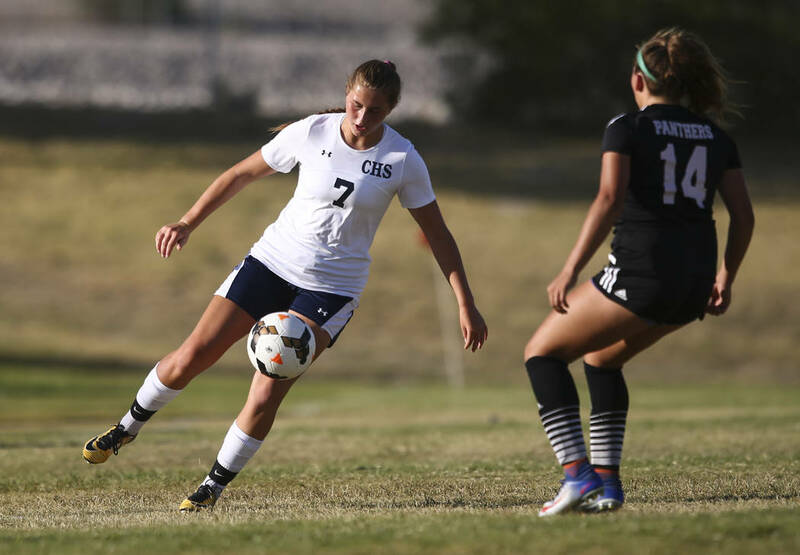 Soccer is the sport that has bonded Brooks’ family for years. The sport Marcella could watch and talk about endlessly with her three older brothers. 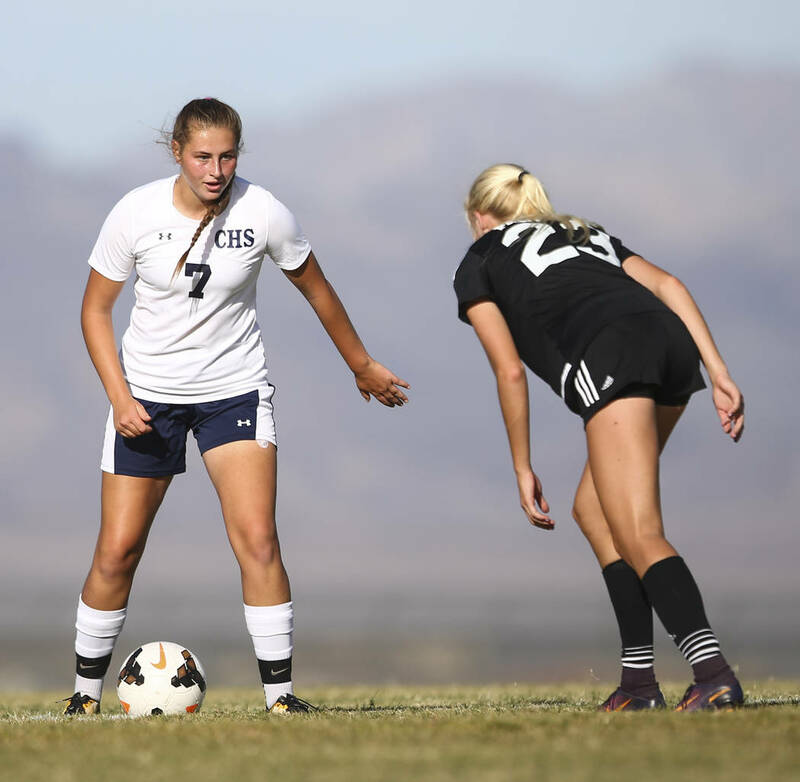 The sport that motivates her to fight a disease that affects 1.25 million Americans, including 200,000 under the age of 20, according to jdrf.org. And a sport she’s pretty good at, too. A technically sound player who would have a story written about her with or without a diabetes distinction. 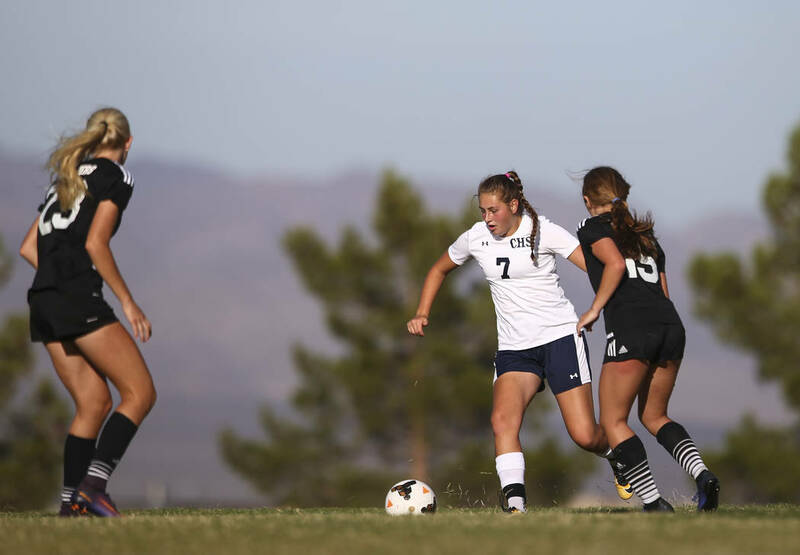 With hometown UNLV having offered a scholarship, Brooks is a future Division I athlete. 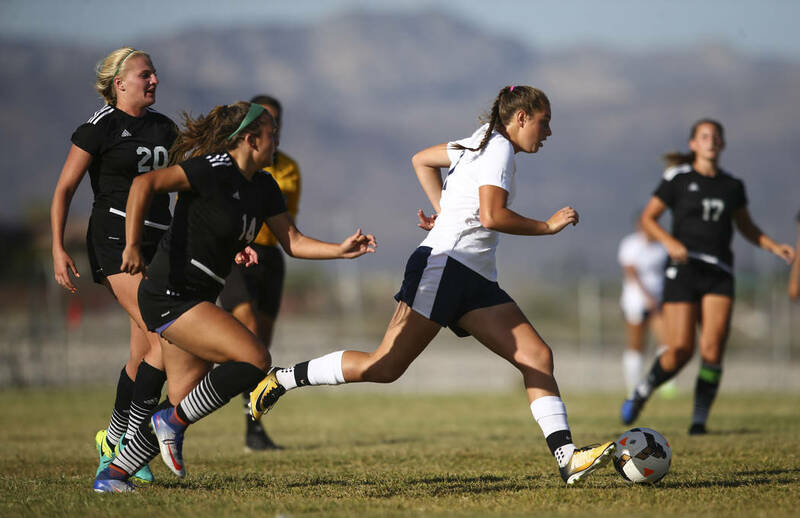 For now, she’s having her way on the preps scene in Southern Nevada. 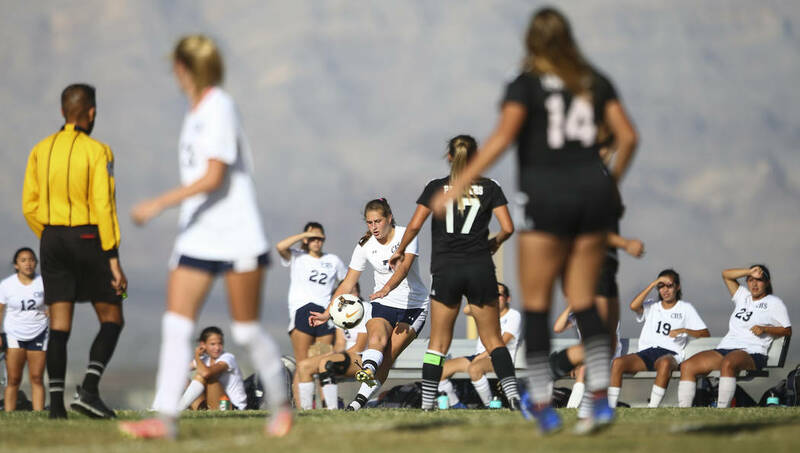 It wasn’t just the pink cleats and “overpriced” yellow bow in her hair that made Brooks unmistakable on the field during her youth playing days. Brooks grew up playing the sport with the boys, and she did so competitively until her diagnosis on July 19, 2010. “She probably could’ve played a couple more years,” said Marcella’s father, James. But Marcella was too weak after leaving the hospital and didn’t know how to control her diabetes. “To be an elite athlete, as Marcella is, there’s a different mindset,” said Dr. Asheesh Dewan, Brooks’ longtime endocrinologist, whom she visits every three months. “They know (blood sugar) affects their performance. And when you’re at that elite level, seconds matter. Since becoming the first diabetic in her family — one that includes first cousin Bryce Harper of the Washington Nationals — Brooks has become a student of her condition. After coming out of the Pediatric Intensive Care Unit at Summerlin Hospital Medical Center — the place she went in and out of consciousness with an extremely high blood-sugar level in the 900s (a count of 900 mg/dl is dangerously high) — Brooks received a package of about 10 books from the Juvenile Diabetes Research Foundation and was given a “crash course,” according to her father. James and Dionna Brooks said their daughter’s desire to return to the soccer field probably expedited the learning process. The 5-foot-9-inch Marcella now turns to experience during games when adrenaline and stress hormones cause her blood-sugar levels to fluctuate. She knows the level at which she likes her blood sugar heading into matches and exactly when it’s time to have a juice box or Gatorade. Brooks said she has tried to wear her pump during games but always rips it off because of discomfort. Sometimes, she will need her parents, coaches or teammates to throw her one of those sugary beverages. And that’s something she doesn’t take for granted. “They’re the real MVPs here,” Brooks said. 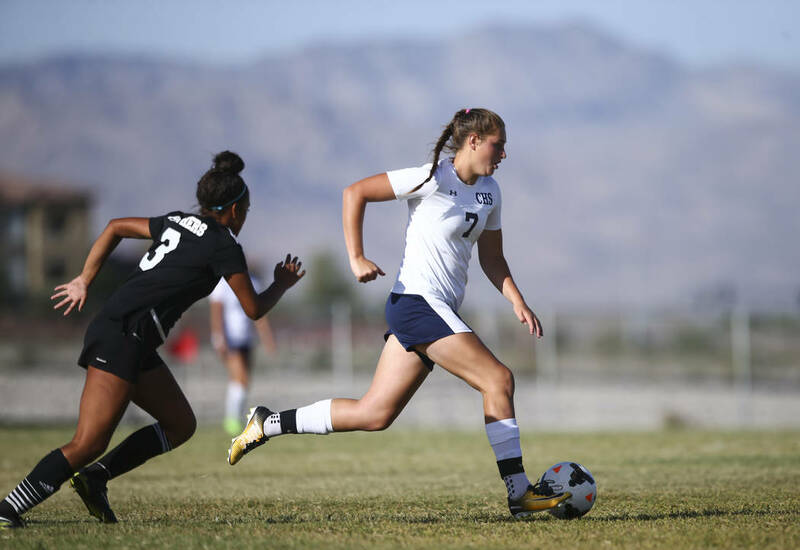 Though she has an offer from UNLV, Brooks said her dream college is North Carolina because of soccer icon Mia Hamm. Hamm won four consecutive national titles with the Tar Heels and was a two-time Olympic gold medalist for the U.S. women’s national team. One day, Brooks hopes to follow Hamm and use that platform to advocate for diabetes. — Almost 26 million Americans have diabetes (8.3 percent of the population). — Diabetes is the seventh-leading cause of death in the U.S.
— There are two major types of diabetes: Type 1 and Type 2. — 1.25 million Americans are living with Type 1 diabetes, including about 200,000 youth (younger than 20). — Type 1 diabetes is associated with an estimated loss of life expectancy of up to 13 years.